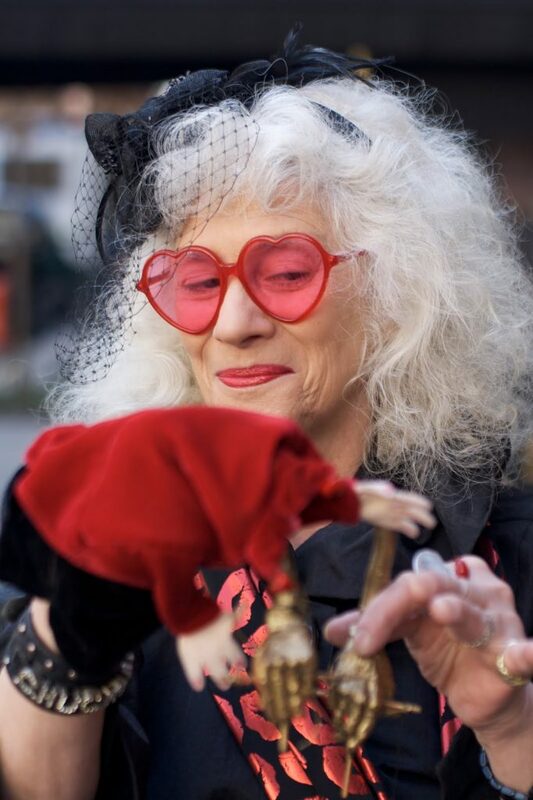 Jane Folds is a wonderful artist and master marionette maker. 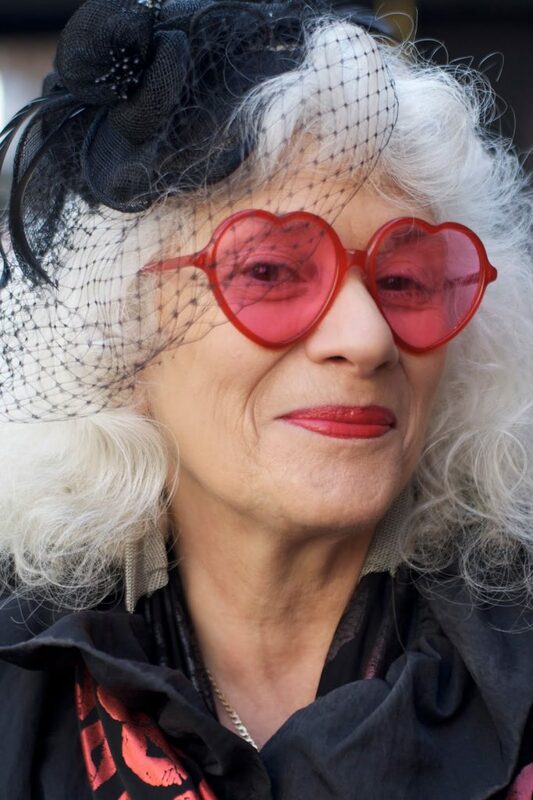 Like many of the Advanced Style ladies she has developed a perfect uniform that works for her everyday: red heart sunglasses, a black slip dress, red lip scarf and a mix of great accessories.Yesterday, Jane and I had a delightful lunch at The National Arts Club. 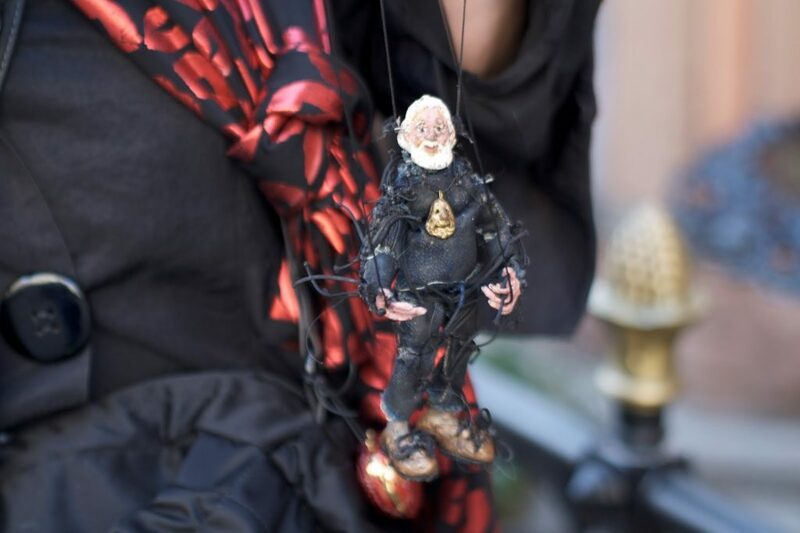 Afterwards we took some photos and she showed me one of her favorite marionettes.